EURUSD is moving upwards. Possibly, today the price may reach 1.2390 and then fall towards 1.2300. Later, the market may form another consolidation range between these two levels. 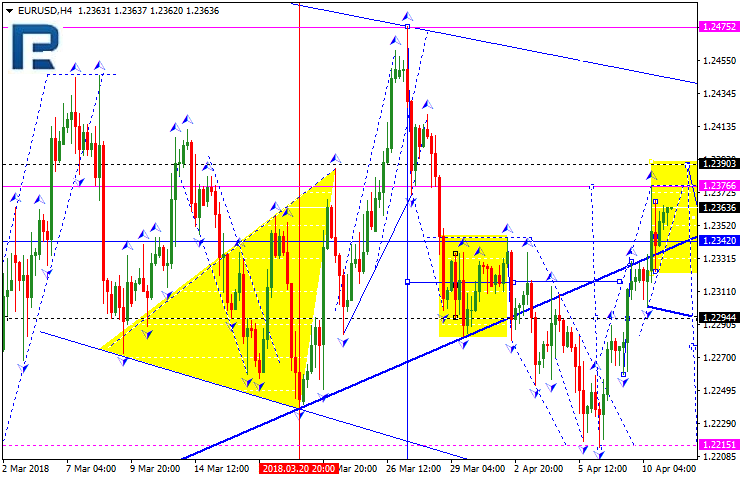 GBPUSD is also moving upwards. Possibly, the price may form another ascending structure towards 1.4229 and then fall to reach the target is at 1.4100. 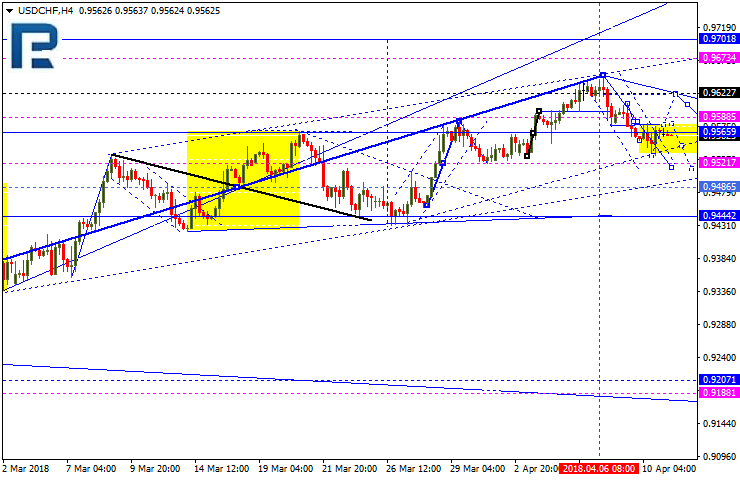 USDCHF is trading around 0.9582. Today, the price may fall to reach 0.9522 and then grow towards 0.9622. 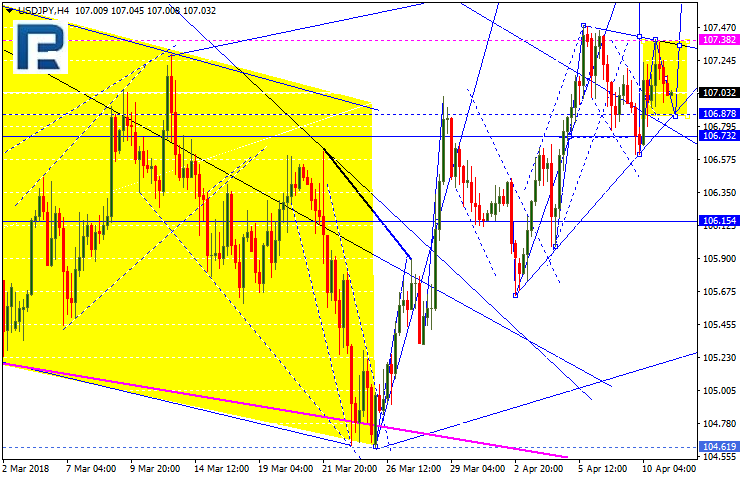 USDJPY has completed another ascending impulse and right now is being corrected. Possibly, the price may reach 106.87. After that, the instrument may start another growth with the first target at 107.74. 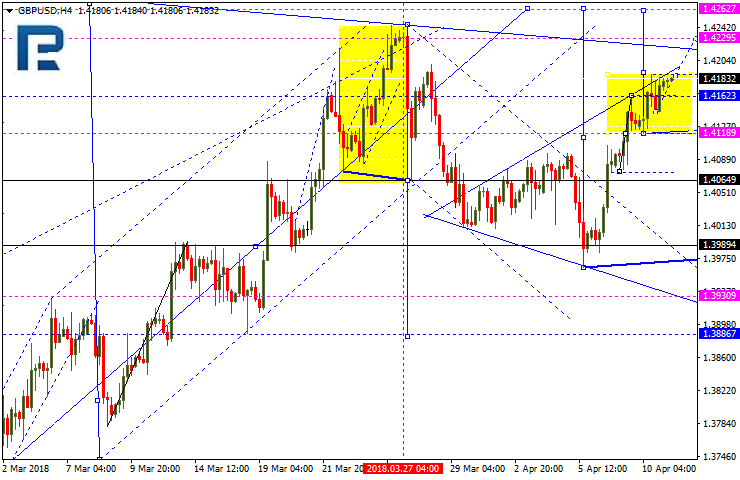 AUDUSD is extending the ascending structure. 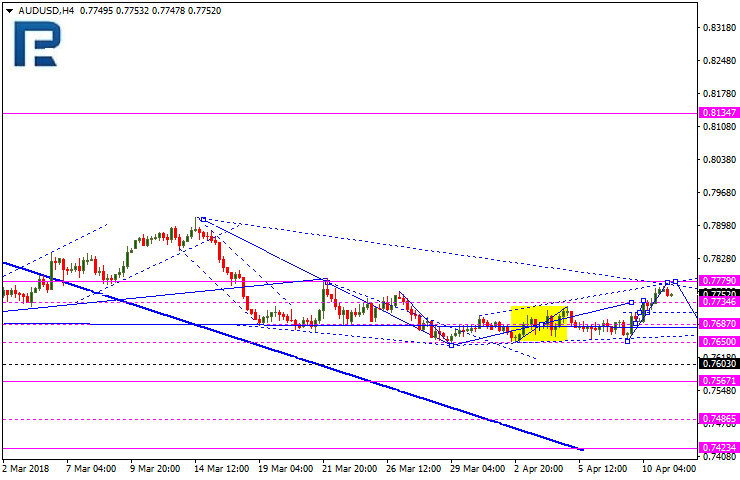 Possibly, the price may test 0.7777 from below and then resume falling to reach 0.7567. USDRUB has finished the descending impulse towards 62.00 along with the correction. 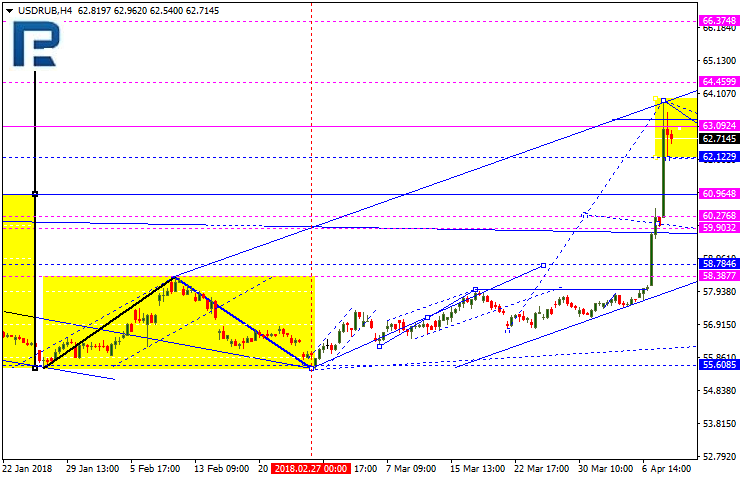 After breaking the low, the market may fall to reach 61.00 and then start another growth with the target at 66.33. Gold continues moving upwards. Possibly, the price may to reach 1344.00. 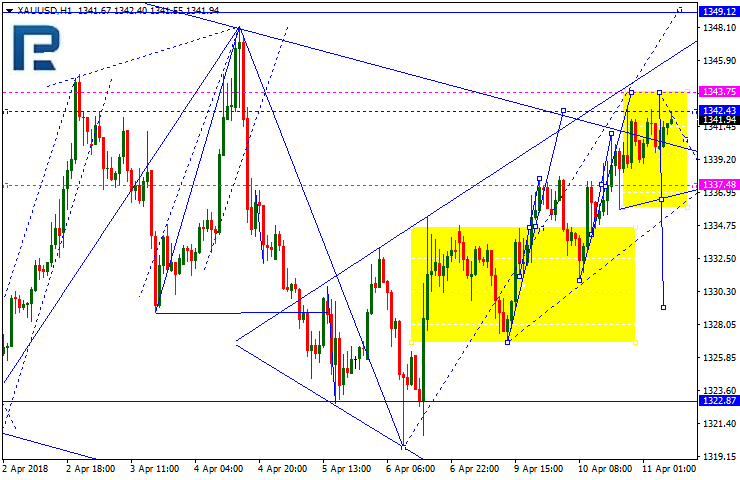 After that, the instrument may start another correction with the target at 1338.00. Brent is trading upwards. Today, the price may reach the short-term target at 72.22. 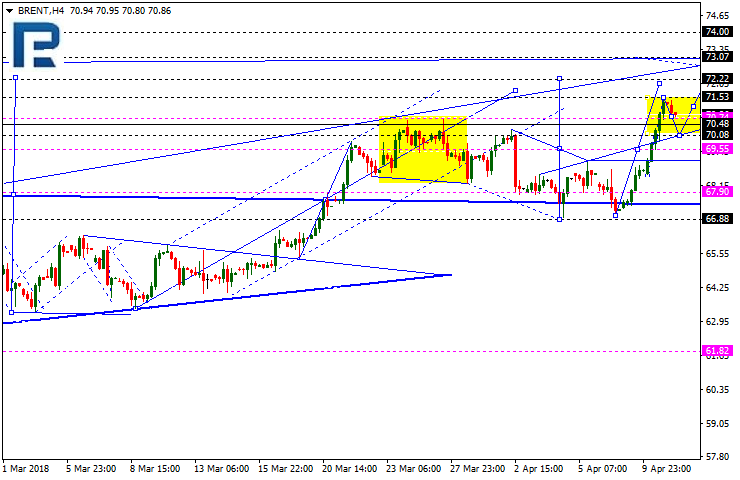 Later, the market may be corrected towards 68.00 and then form another ascending structure to reach 74.00.